Have you ever wondered what could be the 8 most common foods rich in carbohydrates in your weekly intake? Well, then we offer you the answers.Most of us tend to think that carbohydrates are our enemies when it comes to losing weight or being fit. This is totally false, since carbohydrates are macro nutrients that function as an energy fuel for the proper functioning of the organism. Remember that there are two types of carbohydrates : the bad and the good. Junk food, hydrogenated oils and refined sugars are part of the group of bad guys. It is very easy to identify why: their nutritional contribution is poor or nonexistent. While, on the other hand, fruits, vegetables and natural sweeteners make up the group of good carbohydrates. 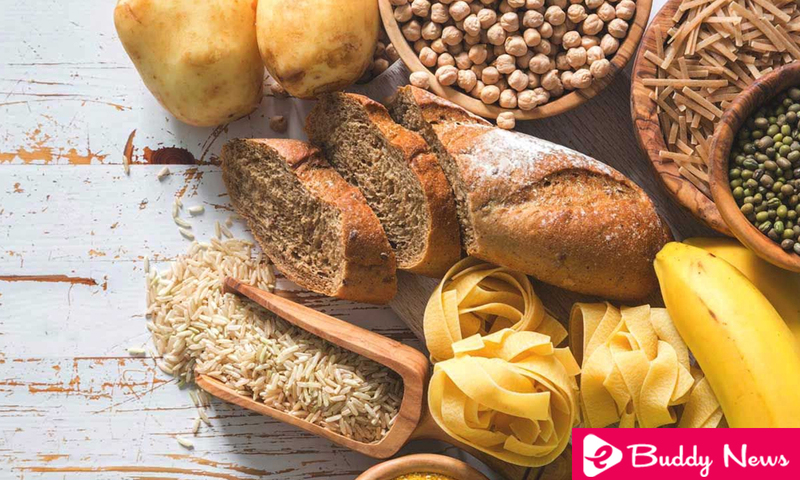 Therefore, there is no reason to eliminate all foods rich in carbohydrates, but to balance the consumption of good carbohydrates in our diet in order to enjoy the nutritional benefits they provide. This is one of the most accessible and economic foods that exist in the market and that you can not stop consuming in your diet. However, you should leave out the fried foods , that is, do not use any type of oil in particular. The best way to eat it is by cooking it or preparing it in the oven, in this way you keep the recommended amount of carbohydrates in a natural way. Each 100 grams of potato equals 27 grams of carbohydrates; an ideal quantity to complement it with other types of food. In addition, the potato is a source of vitamin B6, vitamin C and potassium. The majority of fruits are sources of essential macro nutrients for our organism, and the banana does not escape from it. It is best to consume green plantain before training and mature after training. This is because the green banana is composed of starch and releases energy little by little (this is ideal for resistance training), while the mature one is rich in sucrose, which contributes to the body’s energy recharge. Nuts and seeds (like chia). Oats are a satiating and energizing food. So it is a very common ingredient in various recipes for breakfast and snacks. Most elite athletes regularly consume certain amounts of pasta in the days leading up to a competition. This is because the common pasta has a higher glycemic index than rice , which translates into: a greater energy intake. Therefore, pasta is another of the most recommended foods rich in carbohydrates. The integral variety is ideal for long-term insulin secretion. The rice is the most consumed cereal in the world after wheat. In addition to being economical, it is one of the foods rich in carbohydrates, approximately 80%. Therefore it is an ideal source of energy for before physical exercise. You can accompany it with meat, fish or eggs and a small portion of vegetables. The ideal is to prepare it with little oil and consume an amount not exceeding one cup per day. This food, belonging to the group of tubers, is a healthy source of carbohydrates because of its high starch content. Therefore, tapioca is low in cholesterol. Only 100 grams of tapioca make the equivalent of 8490 grams of carbohydrates . This is one of the most carbohydrate-rich foods lower in sodium and contains no sugar. Therefore, most nutritionists recommend it in their dietary plans. Bread is a food rich in good carbohydrates when it is made from bran fiber because it increases the bolus. Savado is a nutrient that has proteins, fats, minerals and even a percentage of water. Whole grains are loaded with low glycemic index carbohydrates, which function as the fuel necessary to carry out various activities. Almost all cereals have a high fiber content, which is essential to regulate intestinal transit, as well as propitiate and prolong the state of satiety. Its consumption helps regulate the metabolism.